Explore this magnificent summer estate build by Chicago beer baron Conrad Seipp in 1888 as a family getaway from the heat and bustle of the city. To tour Black Point Estate & Gardens, visitors travel by boat from Riviera Docks in downtown Lake Geneva. Tickets can be booked through Lake Geneva Cruise Line (262-248-6206), a private tour company. The entire tour takes approximately 3 1/2 hours.  All Wisconsin Historical Society members receive a $13 discount (equal to free admission to Black Point Estate & Gardens). We offer one tour daily. Cruise departs at 10:30am on Saturdays and Sundays. One tour daily. Cruise departs at 10:30am. Two tours daily. Morning Cruise departs at 10:30am. Afternoon Cruise departs at 12:30pm. To tour Black Point Estate & Gardens, visitors travel by boat from Riviera Docks in downtown Lake Geneva. Our store features handmade items, unique books, snacks, cold drinks, souvenirs, and more! For a complete list of restaurants, hotels, and other attractions around Black Point Estate & Gardens, visit the official site of Lake Geneva. Black Point Estate & Gardens is located on a bluff overlooking Geneva Lake. The first floor and estate grounds are wheelchair accessible. Garden pathways are level, paved brick roads. We have approximately 120 steps from the pier to the house. The boat tour is not wheelchair accessible. Anyone with limited mobility and any medical condition that may make arrival by boat and climbing stairs difficult may call ahead at 262-248-1888 to make special arrangements to arrive at the estate by vehicle. For more information regarding access to Black Point Estate & Gardens, contact us at 262-248-1888. No pets are allowed in the buildings or on the grounds. Service animals are permitted for persons with disabilities in accordance with the Americans with Disabilities Act.